Now with 2x liquid rubber coating. All new silicone cases for iPhone. Coated with 2x Liquid Isoprene (natural rubber) for extra smoothness. Lined with microfiber to cushion the back of your iPhone. Protruding buttons for excellent tactile feedback. Raised Lip, to protect the screen when kept face down. All new Silicone cases are coated with 2x isoprene (natural rubber) for the super-smooth finish. The cases are lined with matched microfiber lining and have a raised lip to protect the screen when face down. Compliment your iPhone with ten beautiful and smooth shades. A case that looks great, feels great. Compliment your iPhone with extra-smoothness. 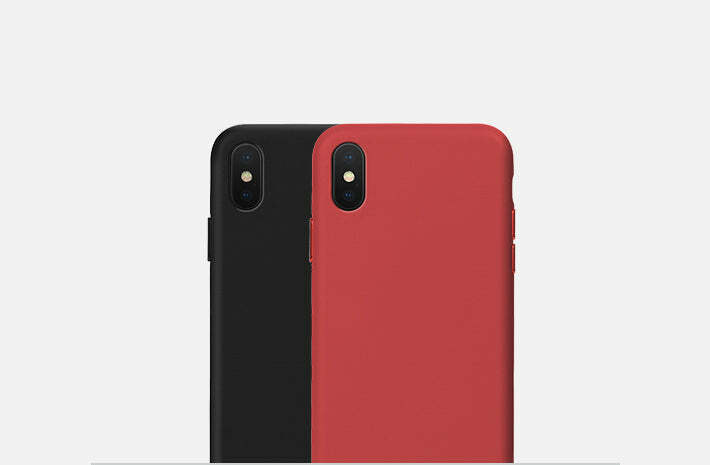 The all-new silicone cases, now coated with 2x Liquid isoprene (natural rubber) which give the case super smooth finish. Silk-soft finish that looks great, feels great. The inside of silicone cases is lined with matching microfiber. Microfiber provides a cushioned protection to the back of your iPhone and keeps it scratch free. The silicone cases have protruding matching buttons that give satisfied clicks and excellent tactile feedback. The silicone cases come with raised lips over the edges to make sure your screen is protected even with phone laying flat face down.